1870s? Edwin Foden engine, ex-BWB Northwich Yard slipway. Now at the National Waterways Museum, Gloucester. Exhibit at National Waterways Museum, Gloucester. 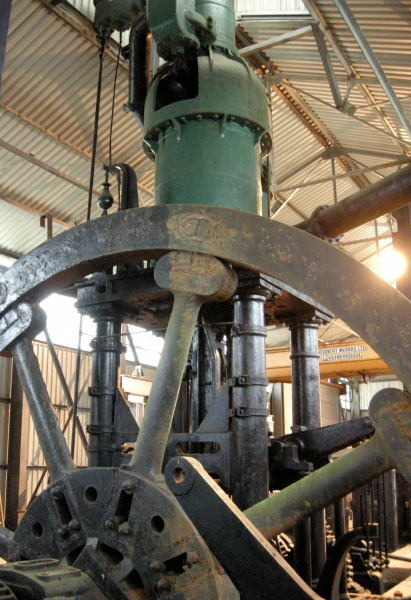 c.1880 E. Foden rolling mill engine at Kidwelly Industrial Museum, one of two similar engines at this site. 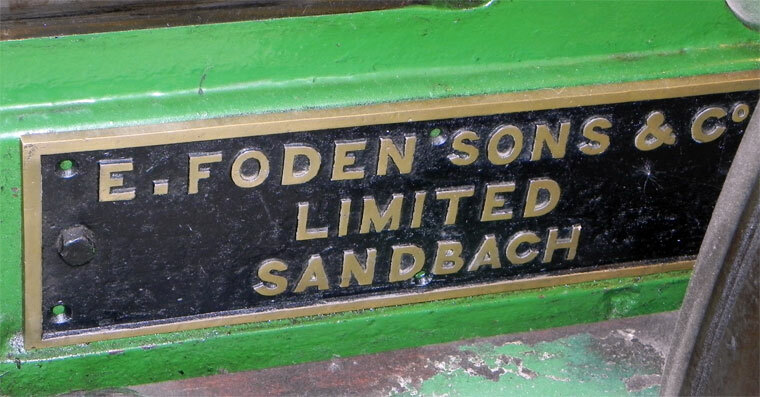 Edwin Foden, Sons and Co of Elworth Works, Sandbach produced commercial vehicles. In 1856 Edwin Foden became apprenticed to the agricultural equipment manufacturing company of Plant and Hancock. 1860 He returned to Plant and Hancock at the age of 19. 1870 Foden's partner, George Hancock, retired from the firm, though remaining as adviser. 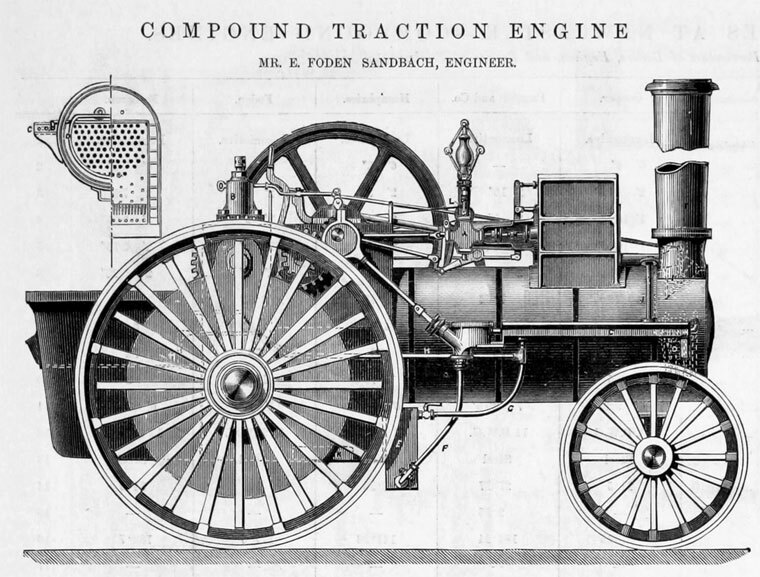 Edwin Foden's great innovation was the development of a practical and highly efficient compound steam unit. 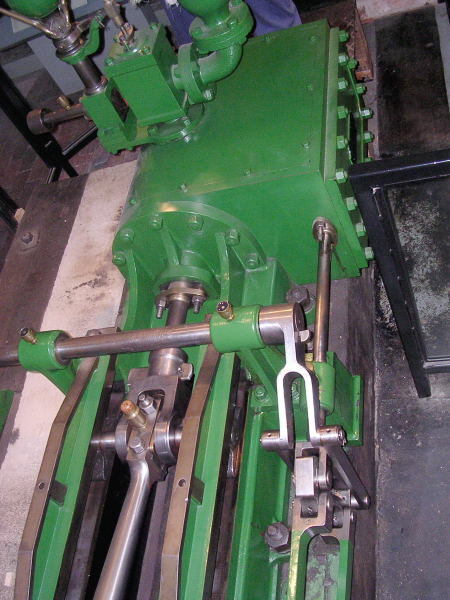 From this time on the majority of steam power units produced by the firm benefited from the use of this design. 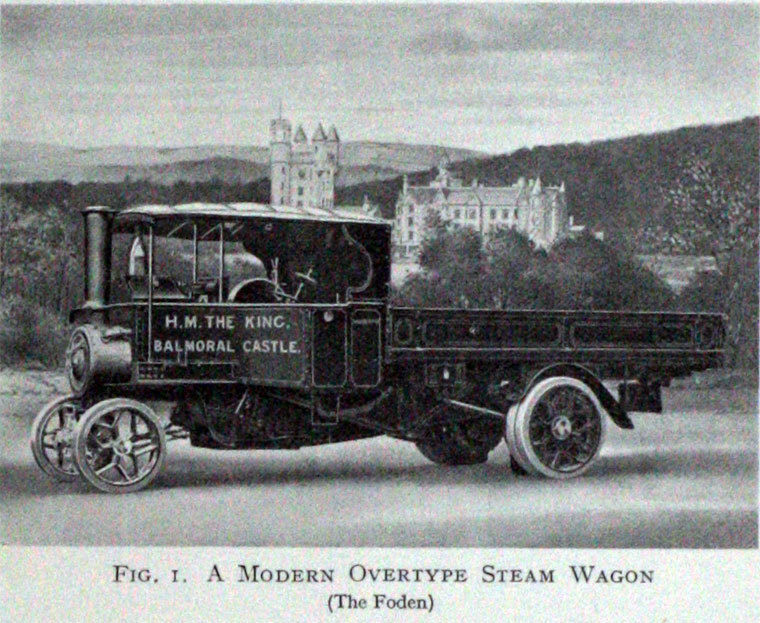 Experimental steam lorries were first produced shortly after the start of the 20th century. 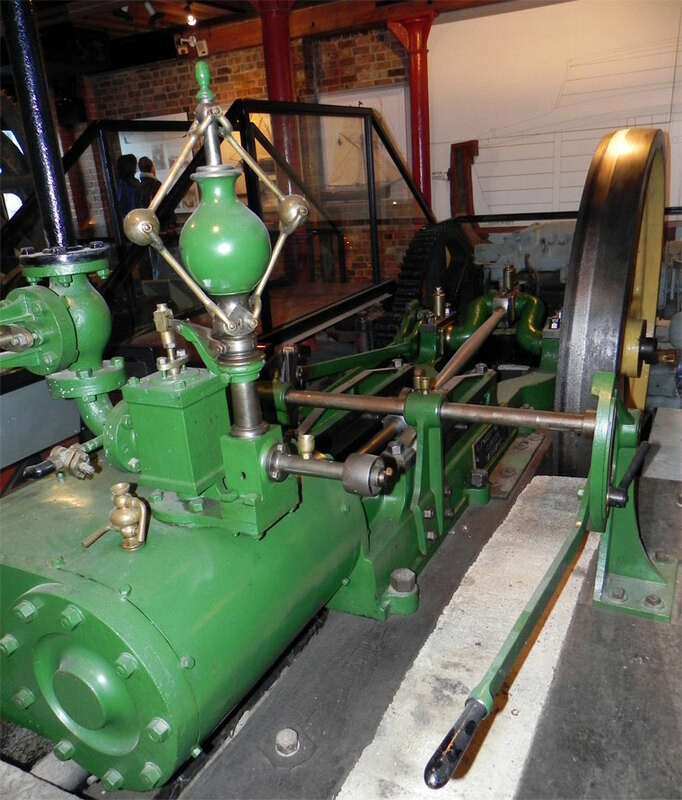 1880s Supplied an engine to the Kidwelly Tinplate Co. Edwin Foden. 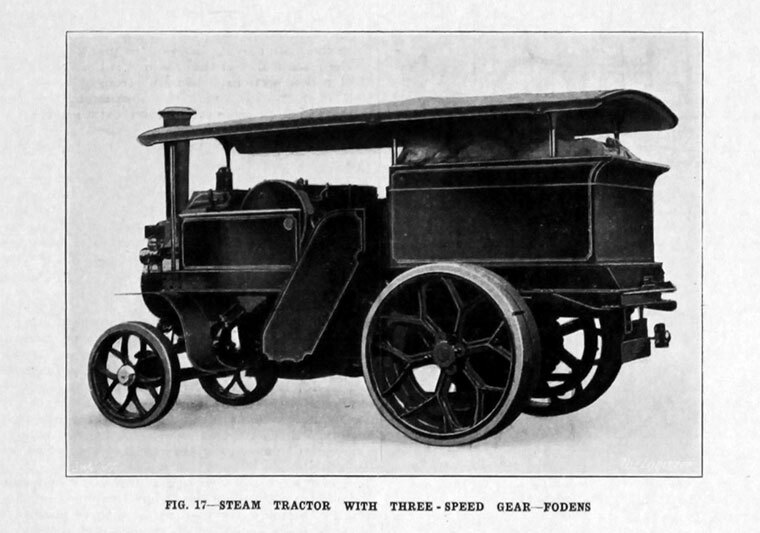 1882 Edwin Foden designed his first steam tractor. 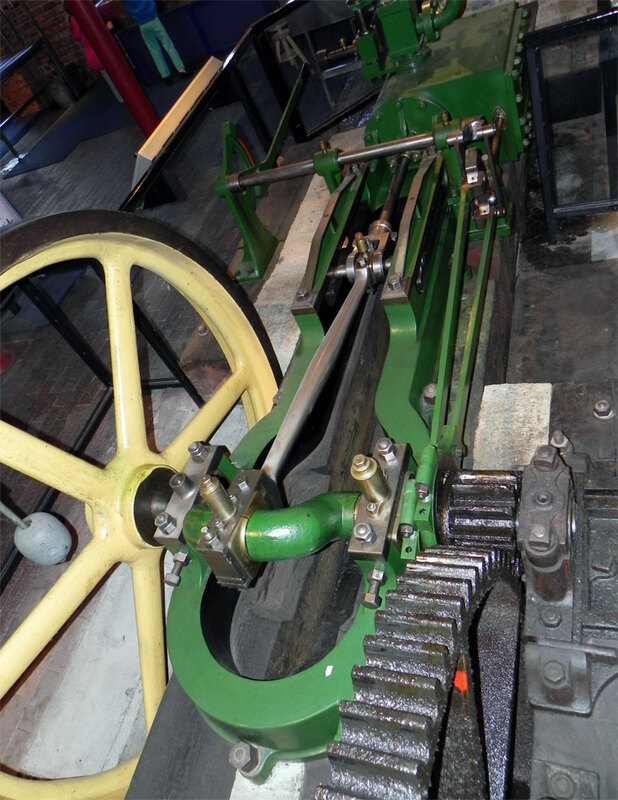 Developed a twin-cylinder, compound steam engine which enabled design of economical traction engines. 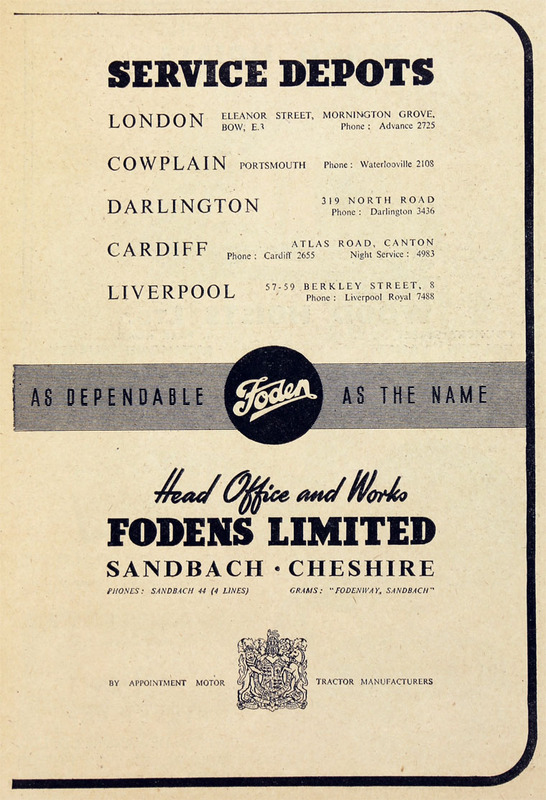 1887 The company was renamed Edwin Foden Sons and Co Ltd. 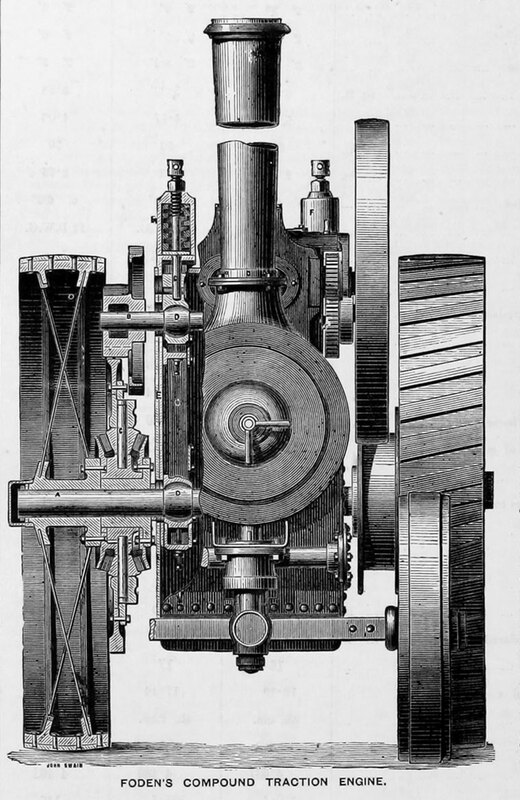 The company produced massive industrial engines, as well as small stationary steam engines and agricultural traction engines. Regular production of the steam tractors commenced. 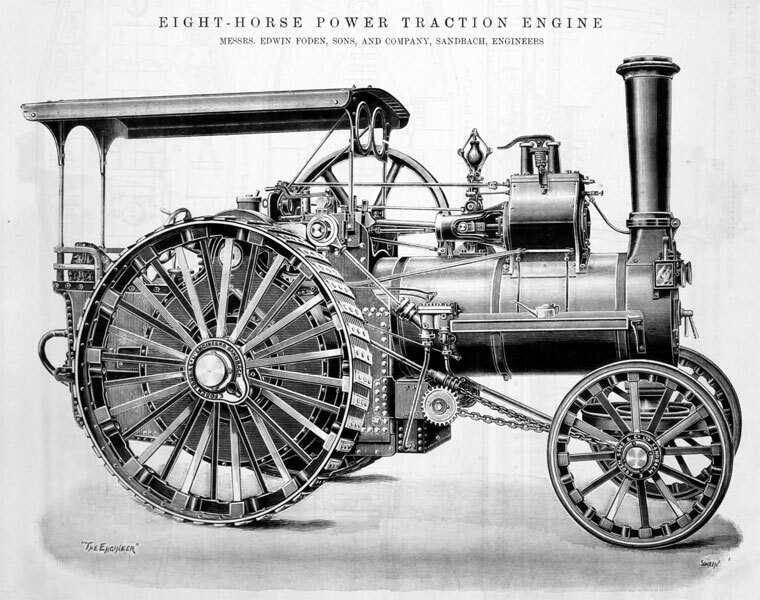 1887 Won a gold medal for his traction engine at the Royal Agricultural Society trials at Newcastle. 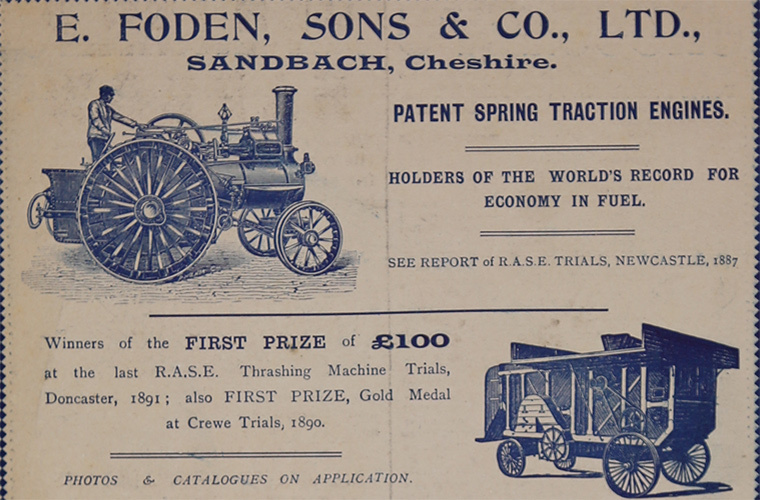 1880s Supplied an engine to the Baglan Bay Tinplate Co. E. Foden, Son and Co. 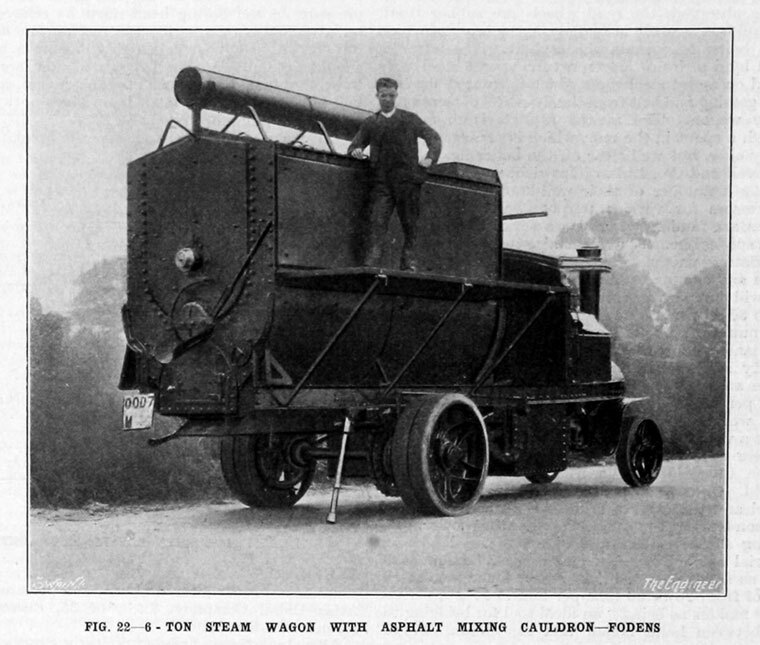 Developed a steam vehicle for road use - this was an "overtype" steam wagon, which carried its payload rather than pulling it as the traction engine did. 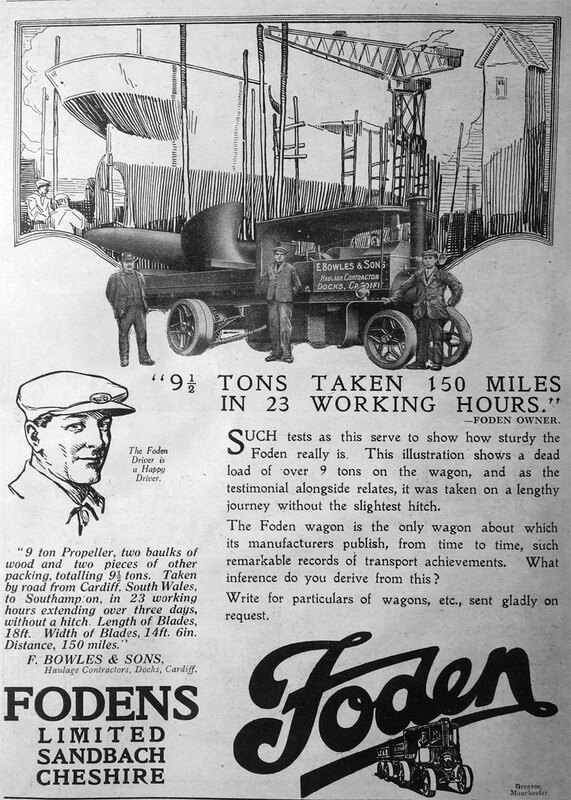 1900 The first Foden steam lorry was produced and continued until 1932. 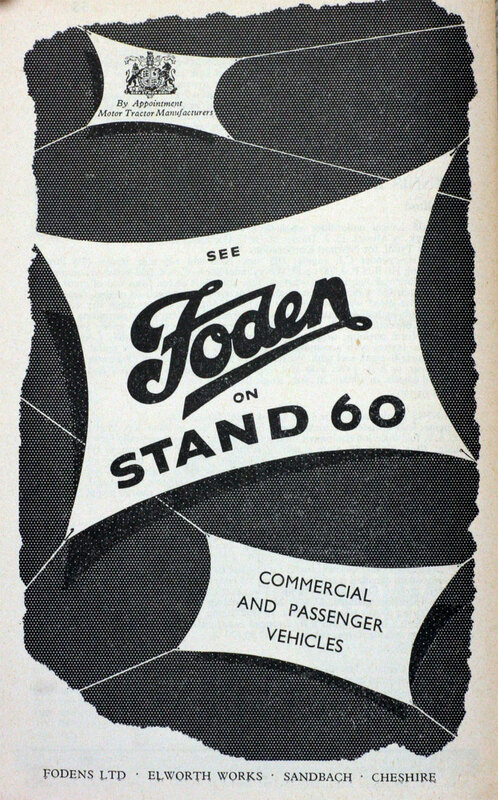 1901 To raise capital a new company was formed, Fodens Ltd, with Edwin as managing director and a business colleague, Cecil Brunner, as chairman. 1904 Steam wagon. (Exhibit at Birmingham Thinktank museum). 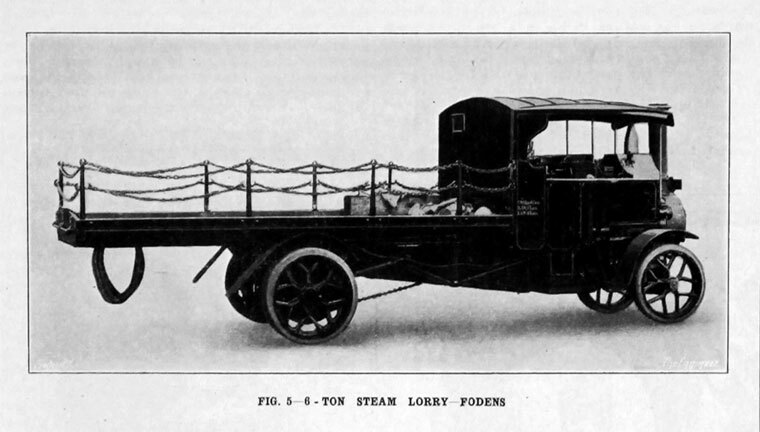 Post-WWI A successor to the Foden overtype wagon was introduced, with an improved cab, better driving visibility, and more powerful brakes. 1920 The C-type 5/6 tonners were produced. 1924 William Foden, who had largely run the commercial side of the business, retired to Australia as a result of major differences with his stepmother, a major shareholder in the business, coupled with the depressed market for commercial vehicles as a result of the availability of ex-military stock, and an increasing preference for the internal combustion engine with its greater ease of operation. 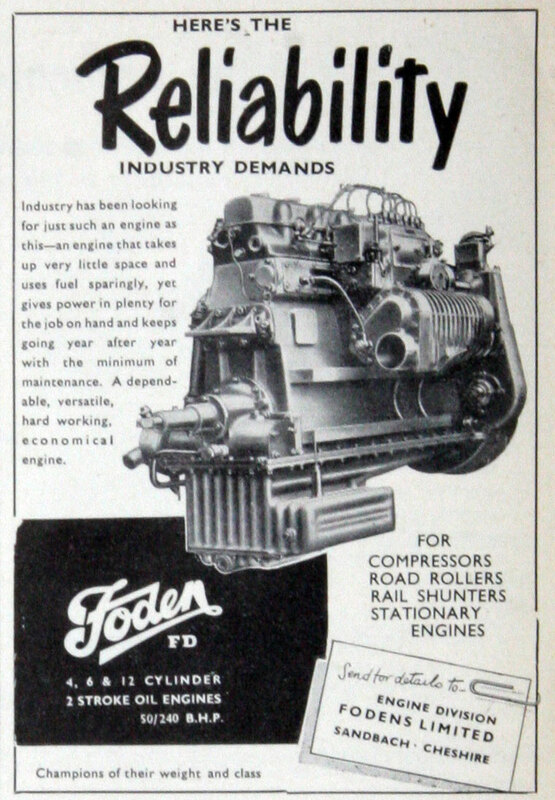 Through correspondence (1929), William helped convince his brother, Edwin Richard Foden, of the future of the diesel engine. 1930 One railway locomotive was built and delivered to Palmer Mann and Co, salt producers. 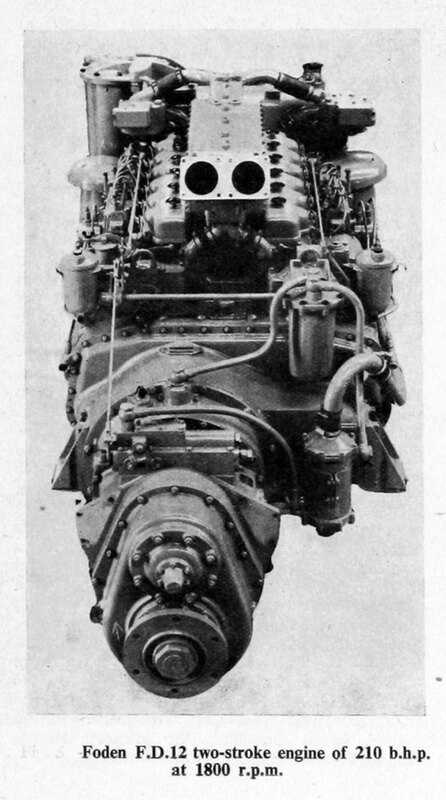 1931 Commenced making diesel-powered lorries using the Gardner engine but also used other makes later. 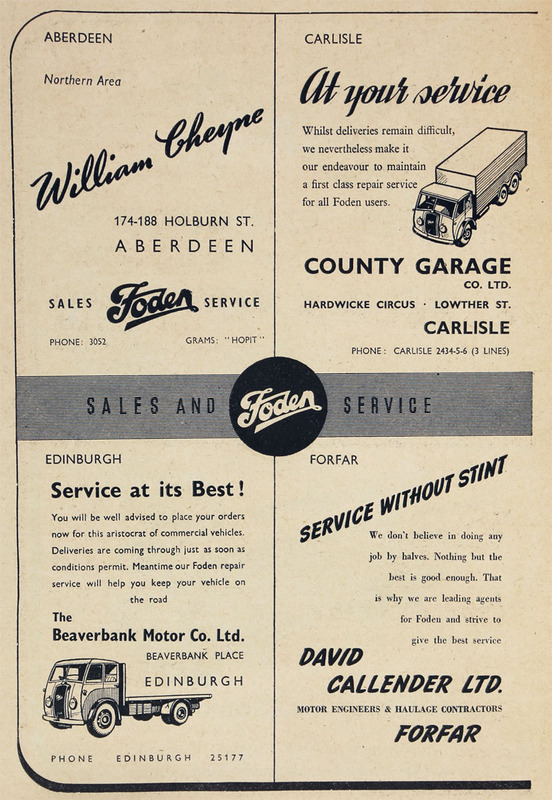 1931 E. R. Foden was thrown out of the boardroom for advocating diesel over steam, and he subsequently retired. 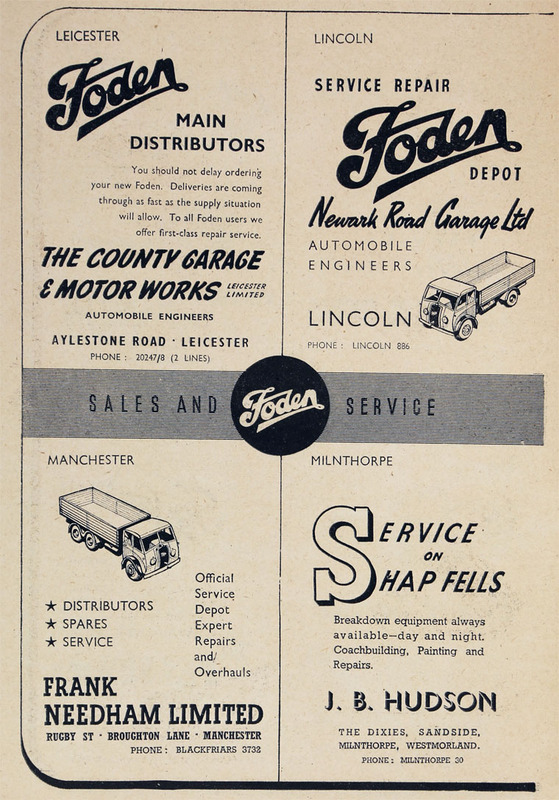 However, his son Dennis, George Faulkner and Ernest Sherratt (all Foden employees) decided to design a new diesel wagon. To help finance the venture, E.R. was persuaded to come out of retirement (c.1932) and head a new company. This company eventually became known as ERF. 1932 Produced vehicles from 4 ton to 15 ton payload until the outbreak of WW2. 1935 Last steam wagon built. A total of 6,500 had been made. 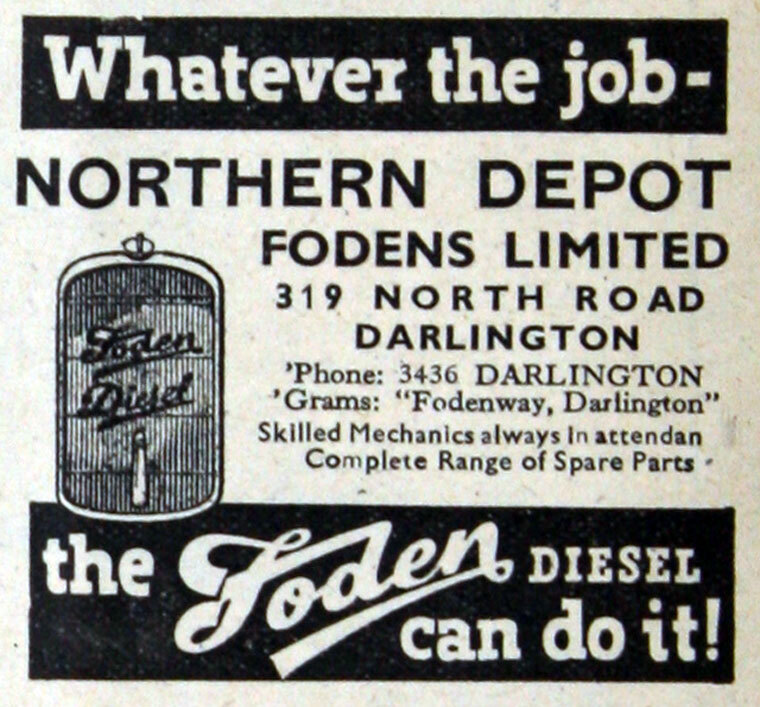 1935 William returned from retirement and took over again as managing director of Fodens. The firm's order book consisted of only three vehicles and there was a file of unsettled warranty claims. William eased liquidity problems by introducing sharper accounting methods and greater economies in manufacturing. 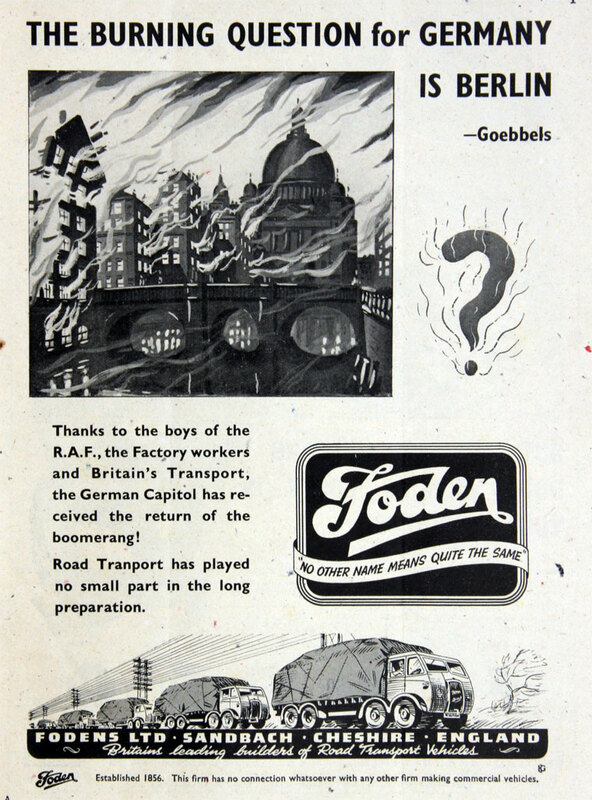 His son Ted also joined the firm, which then concentrated on diesel lorry manufacture. 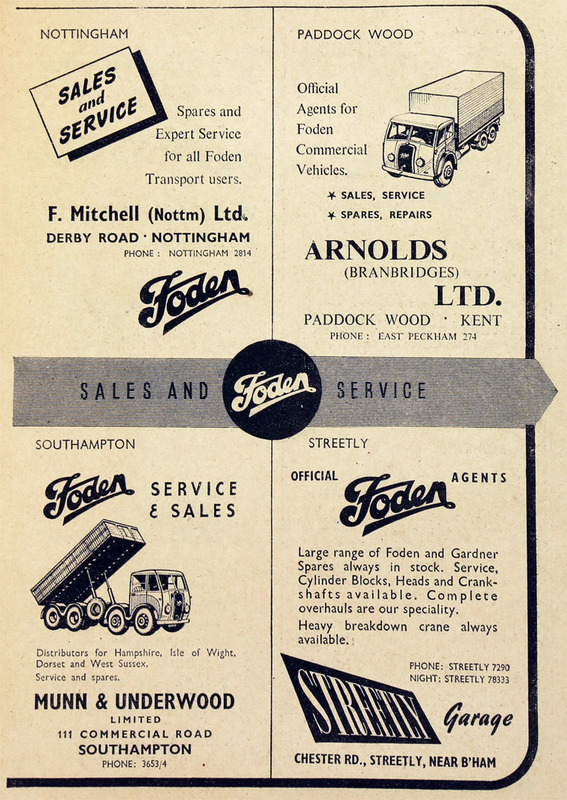 The introduction of a new series of diesel-engined lorries restored the viability of Fodens. By the end of 1937 the tide of decline had been turned. 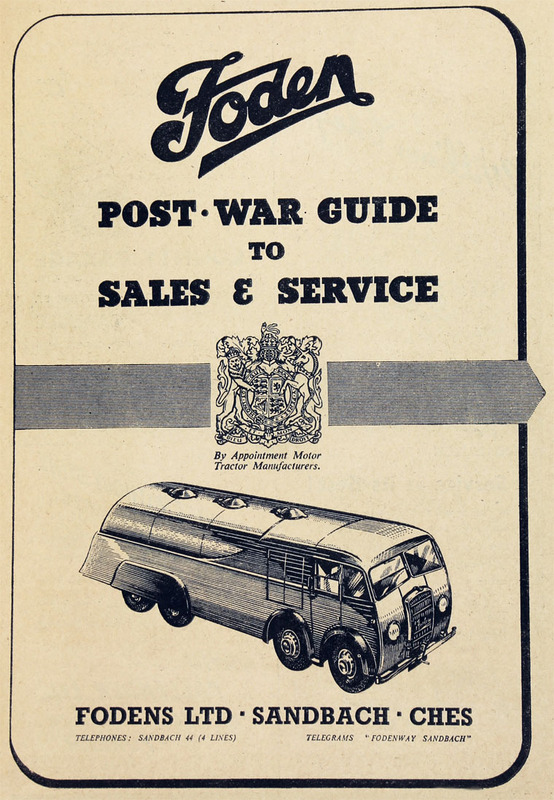 WW2 Produced 1,750 vehicles for the War Department including 6 x 4 Army lorries and 770 Centaur and Crusader tanks. Also made 7.5 million 20mm shells. 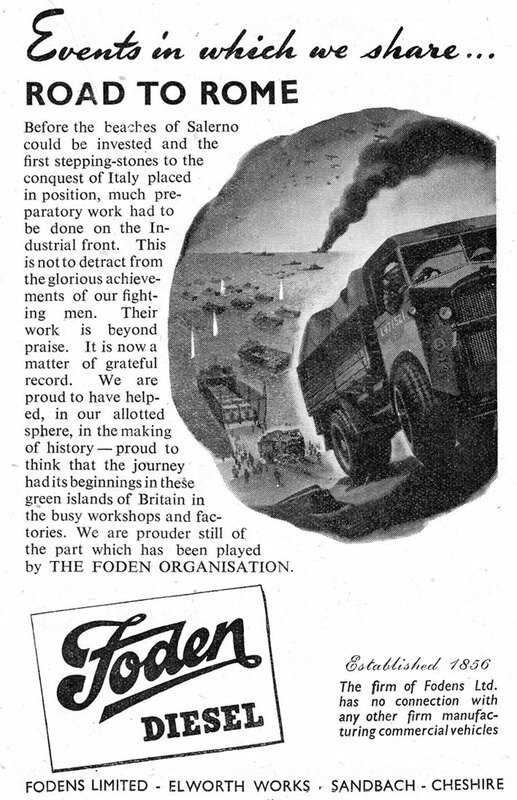 1944 Advert for Foden Diesel. 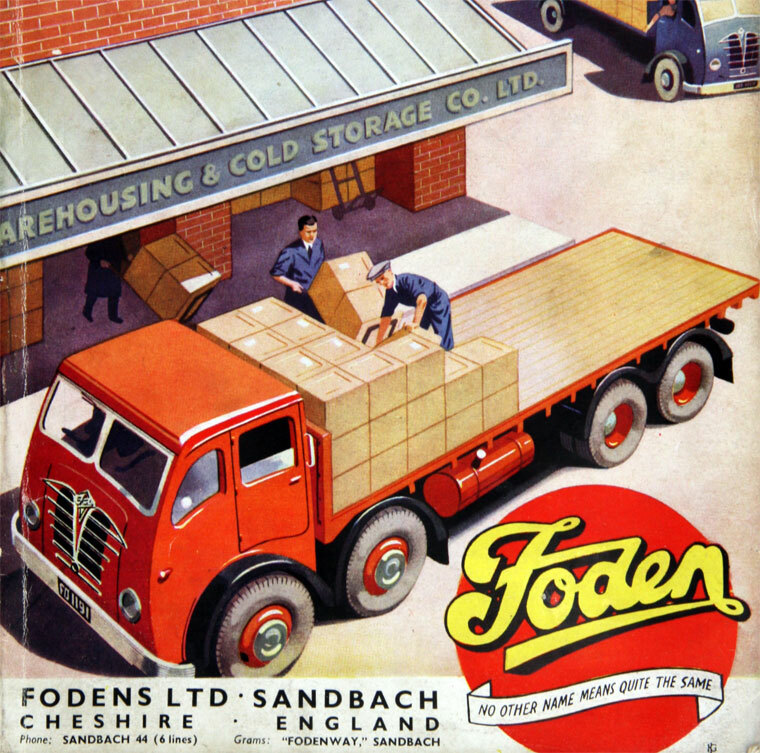 Post-WWII Fodens diversified as a response to the difficulties encountered after the war. 1964 Received order from the Steel Company of Wales for large-capacity tip lorry and this led to many giant dump trucks being produced. 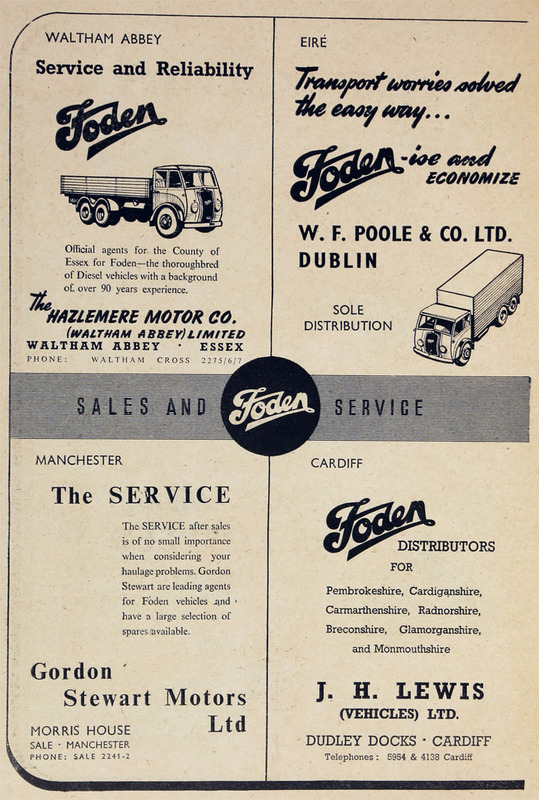 1964 The Foden two-stroke diesel engine was produced and continued until 1977. 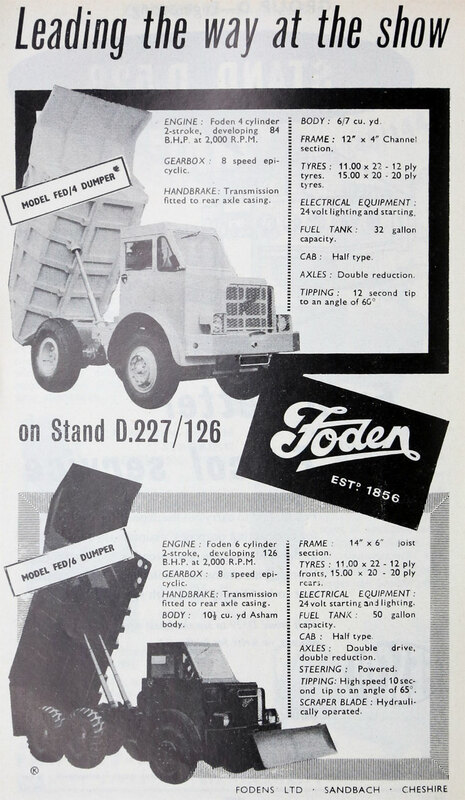 1977 New Fleetmaster (with Cummins or Rolls-Royce 290bhp engine) and Haulmaster (with Cummins) models with introduced. As a long time employee of Fodens Ltd; researcher for the publication of the History of ERF Ltd; etc. I find your web page very well informed. However the piece about Edwin Foden's departure from Fodens and his setting up ERF has more holes than an old dish cloth. It reflects the story, I should say myth, put out by ERF's second wife to explain his departure under a cloud from his father's company. This page was last edited on 2 December 2018, at 11:12.